Need to upgrade a recently ANSI First Aid Kit to the new 2015 ANSI Standard? First Aid Store offers this ANSI Class B 2015 Standards upgrade pack for your ANSI and OSHA First Aid Kit and Supply requirements. If your current kit has the 2009 eight required ANSI First Aid supplies, you may augment it with this pack to upgrade to 2015 ANSI Class B Standards. What are the 8 items (so you can check your kit first)? 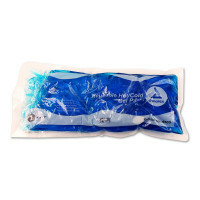 • 1 - Absorbent Compress 4" x 8"
• 16 - Adhesive Bandages, 1" x 3"
• 4 - Sterile Pads, 3" x 3"
• 1 - Triangular Bandage, 40" x 40" x 56"
Now just add this pack and BAM! You have upgraded! (2) URG-2016: Instant Ice Pack, 5" X 6"
(1) URG-2458WP: Adhesive Tape, 0.5" X 2.5yd. (2) URG-2504: Gauze Clean Wrap, 2" x 4.1yd. (3) URG-2541: ABD Combine Pad, 5" X 9"
(1) URG-2573: Gauze Clean Wrap, 4" x 4.1yds. 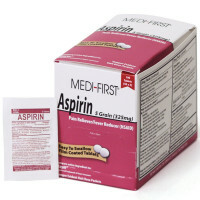 (2) URG-3469: Burn Dressing, 4" X 4"
Kit Dimensions: 10" x 8" x 7"
The Prostat First Aid ANSI B Upgrade Refill Pack. The First Aid Store™ Reusable Cold & Hot Gel Pack 4.75" x 11.25"